We offer a full line of equipment and truck differentials and parts by Spicer, Eaton, Rockwell, Meritor, Mack, Dana, Fabco, Marmon Herrington, International, Volvo, GM, Dodge, Jeep, Isuzu, Oshkosh, FWD, Timken, Clark. Global Differential Supply. Your one-stop differential, ring-pinion, crown wheel-pinion supplier for Kenworth, Peterbilt, Freightliner, International, Volvo, Mack, Ford, GMC, Crane carrier, CCC. Autocar, Western Star, Dodge, and Oshkosh trucks. 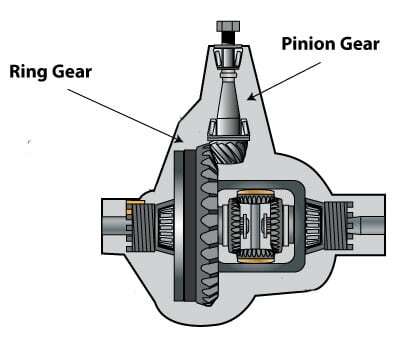 How do I know what my gear ratio is? Many truck owners swap gears for better mileage. If your vehicle is a 4×4, you will need to change the gears in both front and rear axles. Most front axles require reverse cut gears because front driveshafts typically spin the other way. Front and rear gears can be different by 1% on road and 2% off-road without impacting performance. Differentials, Ring and Pinion, Crown Wheel and Pinion, new, used, rebuilt and exchange. One call does it all. We have all models in stock ready to ship worldwide today. One call to us and we can provide international shipping.